These are assembled with Manley stainless valves( 2.02/1.60 )and Lunati springs for hydraulic roller cam,special gm guide plates are included!D port exhaust, 59cc chambers and milled, ready to be installed on your L98 350? with flat top pistons you can easily achieve 11.5 or 12 to 1 compression depending on weather or not you deck your block? 1,700 is the price tag! 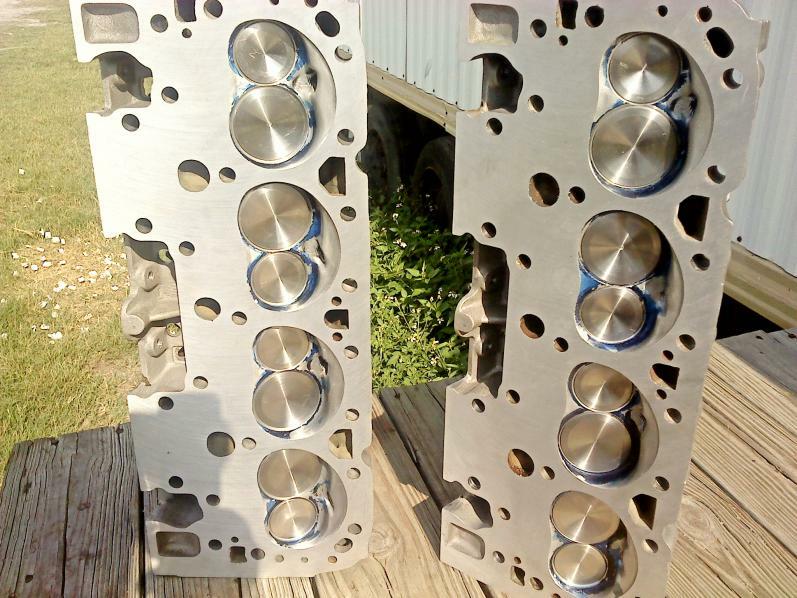 I`am located in Pinellas park Fla.
Basically If you want to make some horsepower? they will do exactly that! 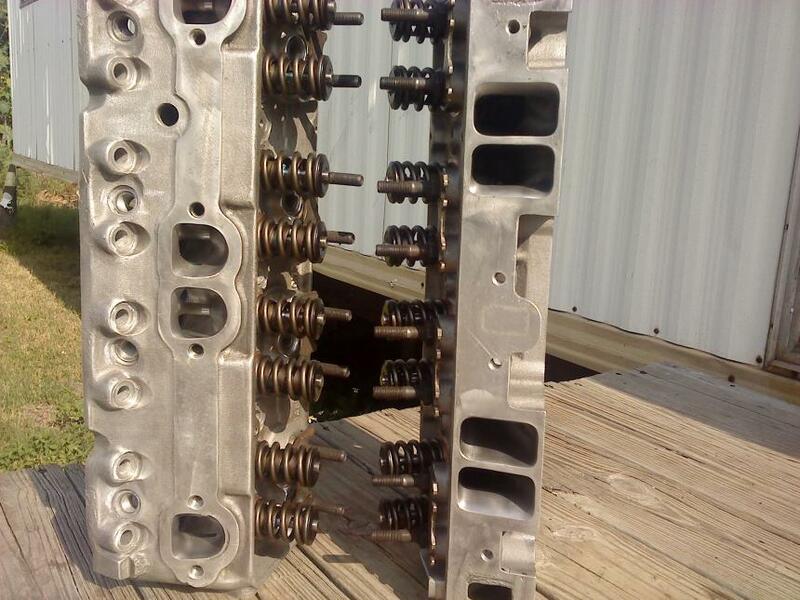 be prepared for high compression ratio`s(11,12-1) if you are using flat top pistons and if you deck the block? the chambers are typically 59cc, special Guide plates available ONLY from GM must be used as the valves are farther apart than standard heads. Dale Earnhart was working with GM performance in developing these heads in the late 80`s and set the platform for future fast burn heads. allot of effort in reducing the chances of detonation was engineered into them and personally I felt they succeeded because I had these in my GTA w/350 TPI and a super ram and Tune-able DFI with 12-1 compression and drove this daily on Regular pump gas! NO Detonation issues for 4 yrs. just a little FYI! some aftermarket headers will NOT fit the 3rd gen with these heads, such as the SLP 1-3/4 , I ended up custom making my own before I found the headmans, I think they will work. 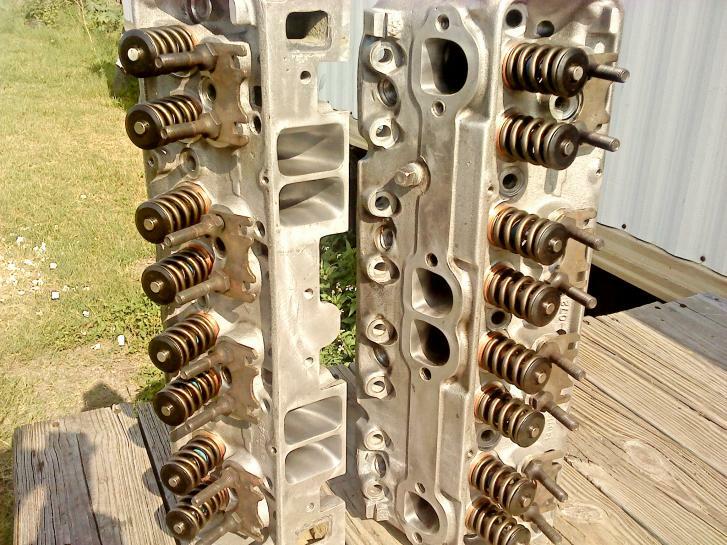 The GM performance parts book published in the late 80`s had a page on these heads. hope this helps? They were one of the progression series of bowtie racing heads. They are good performance heads, but the only advantage they might have over L31 Vortecs is that they might have thicker walls so they might be able to be ported better than the car/truck heads. Basically If you want to make some horsepower? they will do exactly that! be prepared for high compression ratio`s. Has anyone used those new six-speed paddle shift tansmissions Vettes, just wondering?